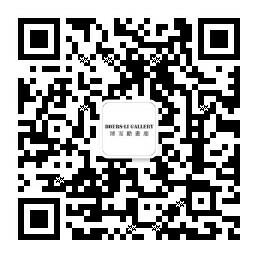 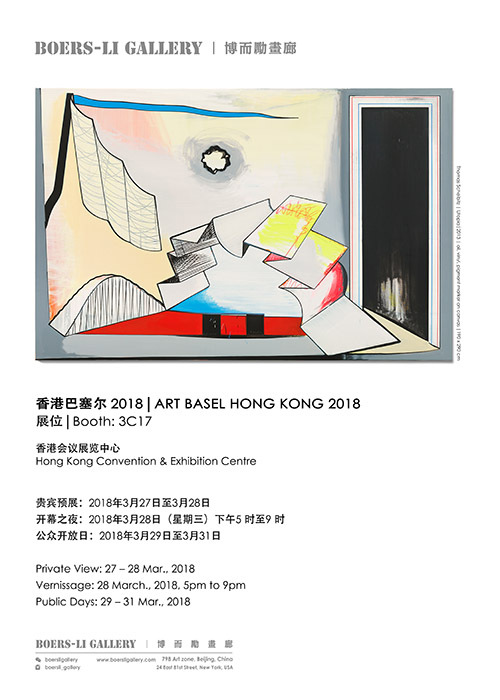 We are honored to announce that Boers-Li Gallery is invited to Art Basel Hong Kong to present new works from Guo Haiqiang, Liao Guohe, Ou Jin, Tie Ying; Early video installation of Zhang Peili 30% Fat 70% Meat, Xing Danwen's video work Thread. 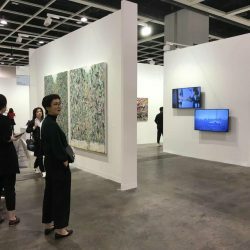 Wax colour works of Wu Dayu and Zhang wei's abstract works from the 80s will be showcased together, as they jointly engaged in the historical process of the collision and amalgamation between Chinese and Western art; Huang Rui, Ma Kelu and Tang Pingggang's art practice in the late 80s will also be exhibited. 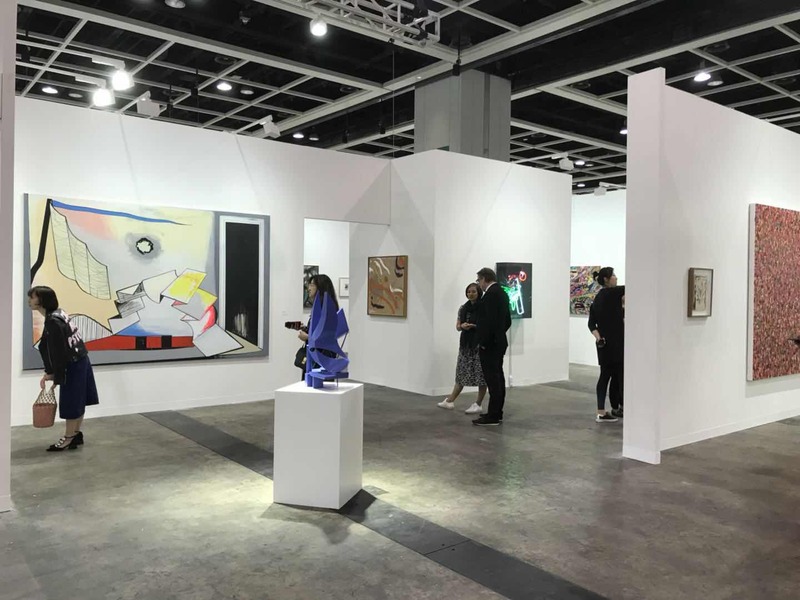 Paintings and installations from Anselm Reyle, Thomas Kiesewetter and Thomas Scheibitz will also appear in the booth while their current exhibition is being held in the Beijing gallery space. 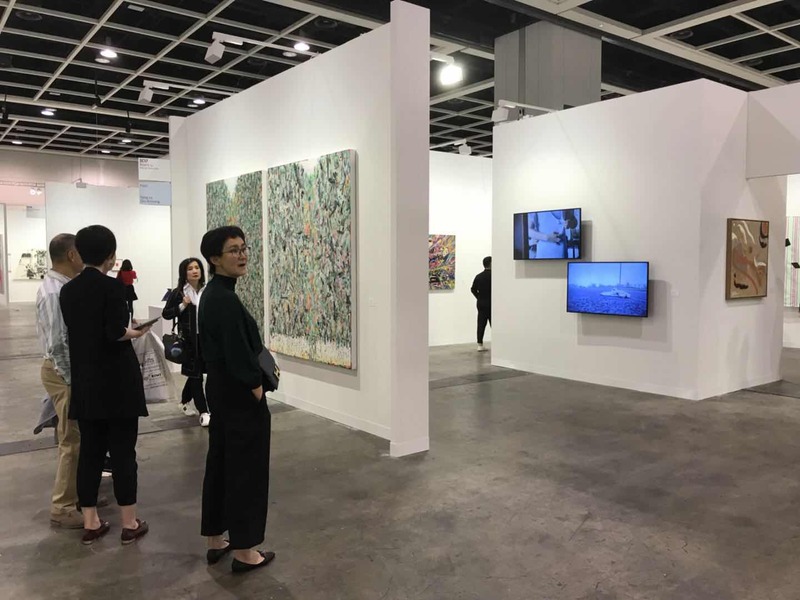 Qiu Anxiong's video work New Classic of Mountains and Seas 3 is included in the film sector curated by Li Zhenhua, art’s entanglements with the present time is the focus of this year’s film program. 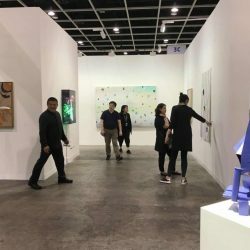 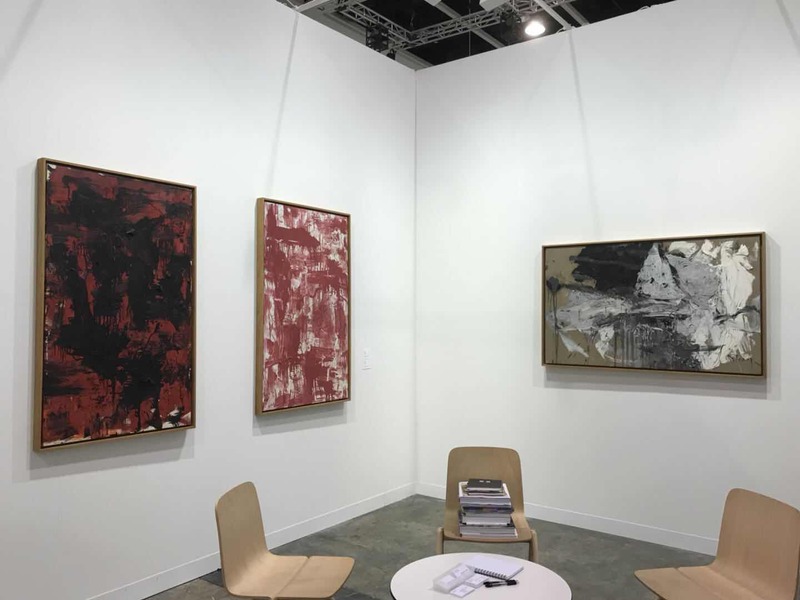 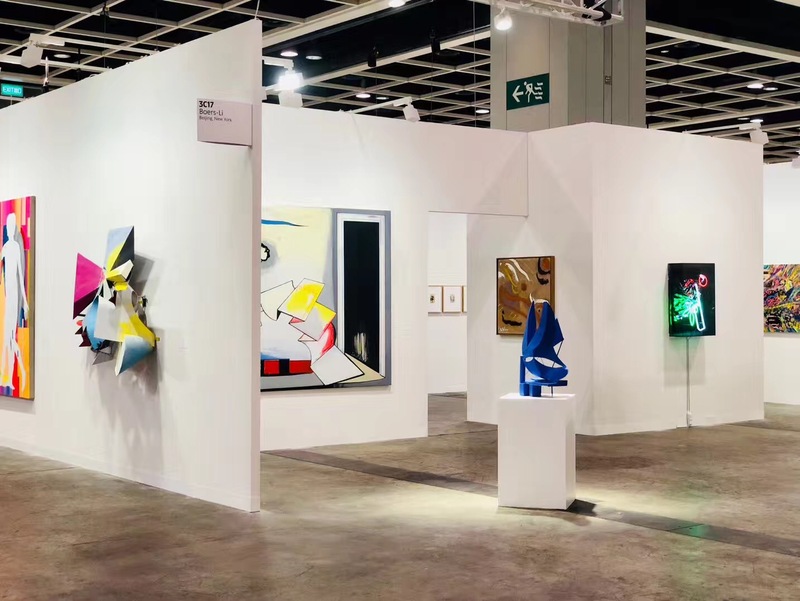 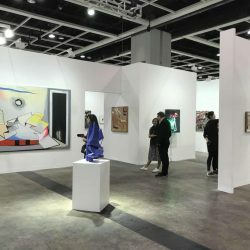 Art Basel Hong Kong 2018 will be held at Convention & Exhibition Centre from March 27th to 31st 2018. 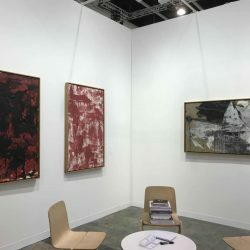 This year features 248 premier galleries from 32 countries and territories. 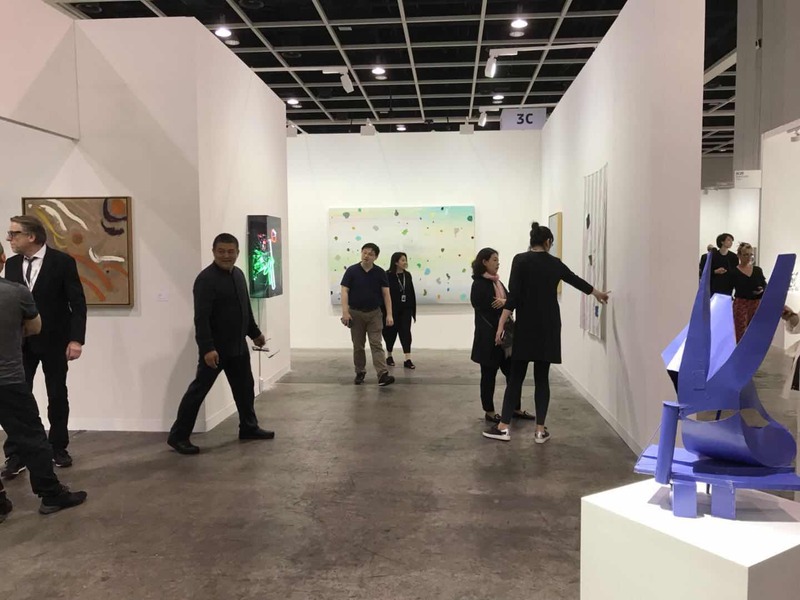 Underlining Art Basel's commitment to the region, half of the participating galleries once again have exhibition spaces in Asia and Asia-Pacific. 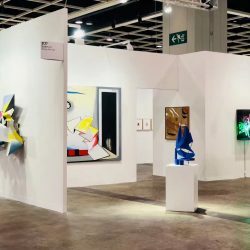 The show provides an in-depth overview of the region’s diversity through both historical material and cutting-edge works by established and emerging artists.